The Bissell Carpet cleaner has made the life easy without having much mess. But, if proper maintenance and cleaning practices are not taken regularly, your carpet cleaner may become malfunctioned. To avoid the situation, it should be cleaned at regular intervals. 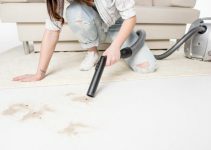 This article shall focus on the steps to clean a domestic Bissell carpet cleaner with ease using the products readily available at every home. So let’s start the tutorial. There are 3 ways to clean a Bissell Carpet Cleaner which will be discussed one by one. Turn off your Bissell carpet cleaner and remove the power supply. Lift the water tank from the base. Rotate the handle forward to open the water tank and remove it from the main base. To empty the water tank, lift the lid. Thoroughly rinse the tank and after that wipe it for the entire cleaning. After you are done, close the lid and place the tank back to the carpet cleaner. Look at the left side of the tank lid. There will be a lint screen. Once spotted, remove it and rinse it thoroughly for cleaning purpose. Then reattach the lint screen to the tank lid. To remove the nozzle, pull forward the nozzle handle. Rinse it using a clean water and replace it by lining up the slots on the base with the hooks on the nozzle. After that, attach the nozzle to the base from where you detached it. Clean the brushes by removing the hair, fabric or debris that got stuck in the brushes. Use a damp clean cloth to clean the outer surface of the Carpet Cleaner. Make sure to clean it using a cotton cloth. After that allow the Carpet Cleaner to dry completely. Don’t use it wet to avoid the electric shocks. Pour hot water into the water tank and move the machine back and forth. While doing this, also squeeze the splash trigger for few seconds. Continue the process for 15 to 20 minutes. Stop the triggering at the point when the vacuum stops sucking water. Cleaning the vacuum cleaner after every use with the help of hot water resists the accumulation of dust that solidifies within the shower lines. For more cleaning, use the carpet cleaner once on the carpet after it gets dried to clean out debris which gets stuck in shape of a soft cloud. Start cleaning the hose of carpet cleaner by suction of clean water that is put in to a bucket, bowl or tap. After you are finished, lift the hose from the end and extend the hose to drain out the water. .
First unplug the cleaner and wrap its power plug for safety purpose. Empty the tank by discharging in to the sink. Use hot water to wash the tank. Do wash the bottom and bladder of the tank using the boiled water. The garbage should be evacuated from the red channel. Make sure to wash the tank well. In case your cleaner has multiple tanks, clean all of them one by one. Remove the floor nozzle from the water tank of the machine. Wash the nozzle using hot clean water entirely. Remove the liquid association point using a paper clip. Turn over the nozzle to remove it. After you finished washing the floor nozzle, place it back to the its original position and turn the keys so to fix it properly and firmly. First remove the dirty debris that is there on the brush rolls. Turn the brush using your hands to ensure the protection. Consult the user manual and if there is mentioned to disengage the brush roll by unscrewing it, remove the screws using a screwdriver. Follow the instructions properly to avoid the damages. Most of the models come in the market with removable brush rolls. 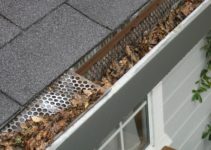 If your carpet cleaner model has brush covers, they can also be removed for cleaning purposes. For removal of brush cover, consult the user manual of device to ensure safety. Remove any connection of the attachments from the device. Wash them entirely with hot clean water. After doing this, let them dry. Place the dry attachments to the positions from they were removed. You must not put wet attachments. Remove the screws from the diverter and wash it gently using hot clean water. Remove any debris present within the diverter thoroughly. After washing properly, fix the diverter back to the device by fixing its screws. Unplug the power supply of your carpet cleaner and remove the dirty water tank from the device to wash it using hot clean water. You can also wash it using running tap water using the dark valve from inside the dirty tank. The tank needs to be washed when its lines are filled. Make sure to serve the purpose properly. Clean the SpotBot if it is there in your cleaner model by brushing it using a delicate material. There are some cleaner models having Float stacks in the grimy tank. Remove this by turning it counter-clockwise and flush it with water. After that put it back to the machine. Remove the cleaning apparatus from the shower trigger. Wash the instrument with water properly. Clear the dust from the shower spout with a delicate brush, if necessary. Keep the cleaning tool straight while washing. Clean its suction entryway. In some of the models, when the dirty tank is removed, it automatically opens the suction entryway. Otherwise, unscrew it for cleaning purposes. Wipe it to remove the dust then wash it by hot water. Place the tool back to the device.